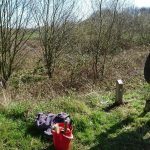 Perhaps one of the biggest list of jobs we’ve ever tackled in a day was the installation of 8 new posts in Woodbank Park. Many of the posts have been in place for years and have suffered from rot and in a few cases vandalism. 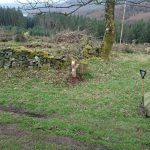 At control S we found evidence of 4 old posts. The new post is just down the path next to the old posts. 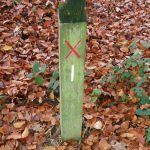 All the posts are now in place and the permanent orienteering course is now back in top condition. Anyone using maps bought before February need to note that 2 posts have moved slightly. 36 is now on the South East side of the pond and 93 is a little further North, on a marker stone. 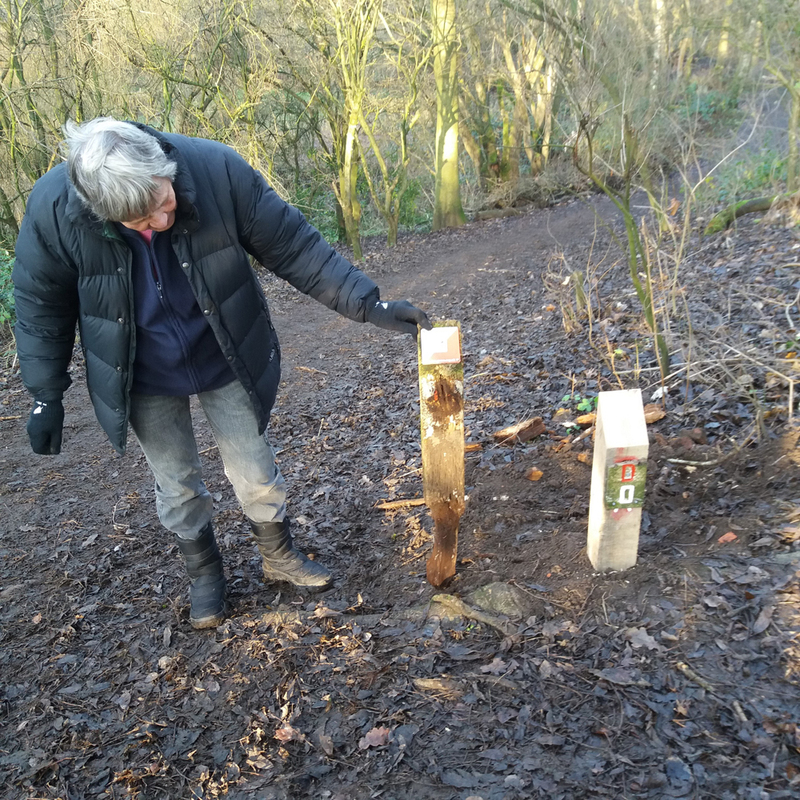 The final bit of permanent orienteering course maintenance before Christmas was done today. 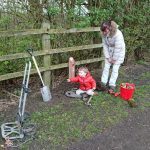 Wythenshawe Park had control IV replaced and several other controls firmed into the ground or cleaned up generally. All controls are now in place. The cafe at Wythenshawe is closed over Christmas. Control C at Sale Water Park was located in what must be very dense undergrowth during the summer, dug out and placed in a more sensible place for the White courses it is on. Control D was hanging on, like a childs loose tooth waiting to be knocked out, see the photo. 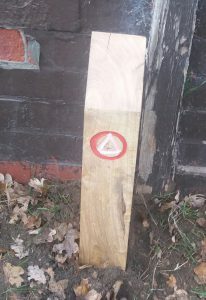 A new post was put in place and the old plaque has been used as a temporary measure. Cafe Metro at Sale Water Park did us a couple of excellent Bacon Barms, well woth the visit. 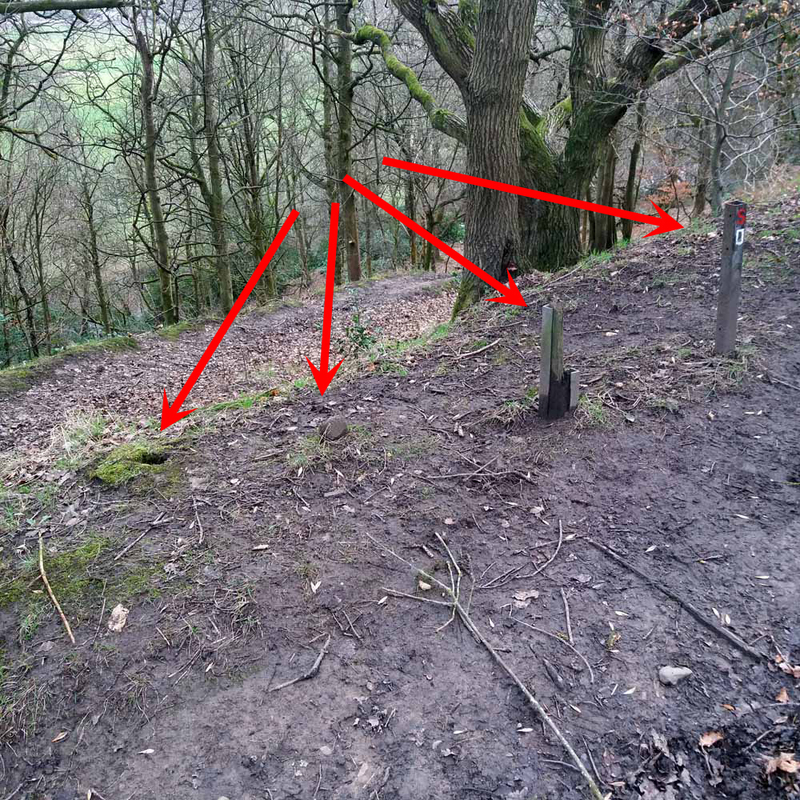 The orienteering courses at Chorlton Water Park are now 100% complete, with a new control P in place, relocated from the river bank where it was getting damaged frequently by the grass cutters. It’s now on a small knoll about 150 m South of the old location. While going around the course I heard some strange bird noises and was convinced I had seen a parrot. 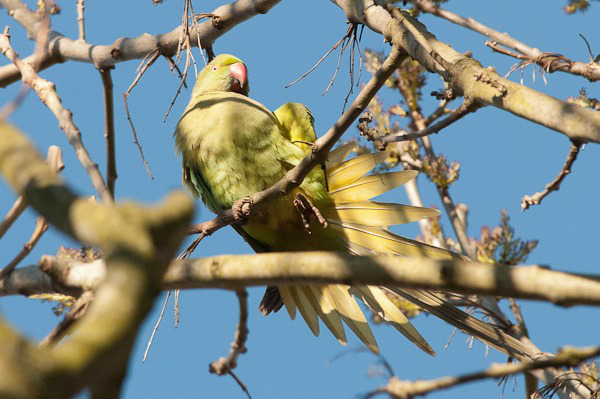 I checked on the web and found out that a colony of ring necked parakeets is developing in the area. This link will take you to a site that gives more info on the birds, and lots of other interesting stuff that can be found in the park. New species found in Etherow Lodge Park! 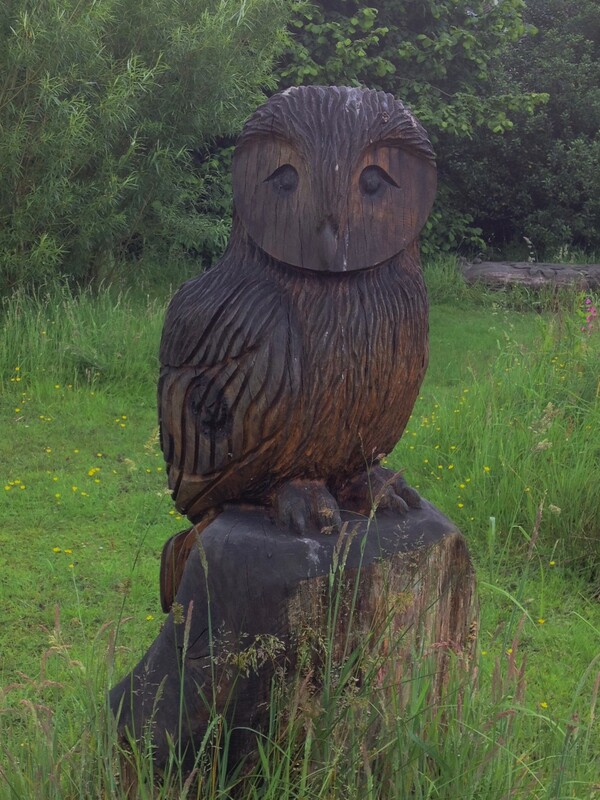 Dog owners advised to keep an eye on their pets as a new species of giant owl is seen in Etherow Lodge Park.